There are people who would say that “It’s simply jet lag, it’ll pass by”. More or less, yes, you will be able to recover from your jet lag. Jet lag happens because the body has never been meant to immediately recover from drastic changes in the time zones. People who often experience jet lag because of frequent travel through different time zones may have experience some detrimental effects to the body. Jet lag can cause a lot of harm to the body. The cause of jet lag is the inability of the body to readjust quickly the circadian rhythm. 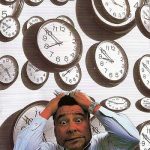 Aside from just being unable to get some good sleep, jet lag can cause mood changes, irritability, decrease in the mental functioning, digestive problems, menstrual disruptions and even short-term psychiatric disturbances. Travelling is definitely unavoidable. Here are some techniques that you can do to lessen the harmful effects of jet lag to your body. One is to avoid sunlight. This can help your body readjust to the present time zone faster. 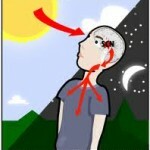 During daylight hours, you can maintain your alertness by doing some exercises. It is not recommended to self-medicate with melatonin. There are not much scientific evidences of how melanin affects the body. As much as possible, rest and get enough sleep because you need all the energy that you can get to fight off the harmful effects that the jet lag can bring upon you.